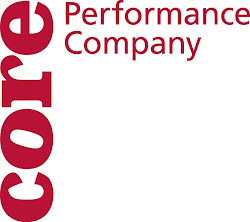 CORE Performance Company: where does it live? happy wednesday! we are back in the studio from our regularly scheduled day off...tuesday. i am able to say that i did nothing yesterday...well, i did laundry (yay for clean clothes)...but it was great to sit on the couch for about 5 hours and watch tv shows and goof off on the internet! so....after a restful day, we have a very full day today. having said all that...let's get to the real meat and potatos of it all...working on The Point. it was interesting today to see the other groups show their work. if you remember, i showed my duet with maryjane...which i had trouble finding words for...today, it was great to see different dancers struggle with trying to find the details in the movement. inherently, when you teach someone movement material...it is difficult to get all the nuances of the movement, so when you are dancing it is sometimes easy to see which are the more "difficult" parts of the movement. maryjane is trying to get corian to feel where the movement lives in his body...which is not an easy task. it is usually easiest for the person who made the movement to perform the movement, whereas due to inherent structural differences in everyone's bodies...it is challenging to translate someone's movement onto their own body. such is the struggle in dance...however, one of the joys of working on this piece (thus far) is that there is not a huge emphasis on keeping the movement exactly the same. what we were focusing on was intentionality, if that is a word, and dynamics. we each had to change the dynamics in our movement, and to help in that we had to clarify the intentions of our movement. my favorite part of these videos is corian's face...that sounds harsh, and maybe a little weird, but you can actually see the frustration...but he is frustrated because he is working so hard to find what maryjane is trying to explain to him. all in all...it's just another day at work!